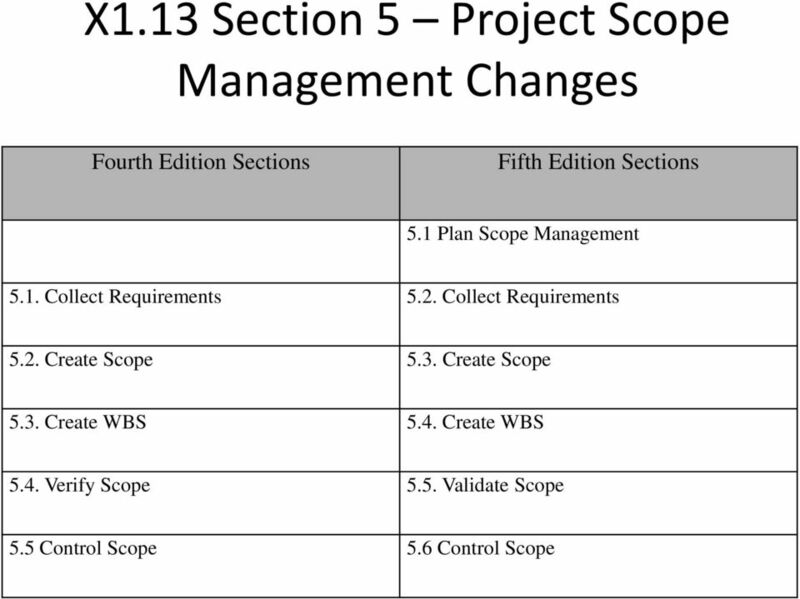 Download "Impact of PMBOK 5 th Edition"
6 X1.2 Rules for Handling ITTOs ITTO Fundamental rules Inputs are any documents that are key to process Process outputs should map as an input to another process unless the output is terminal output or embedded in another output Comments and feedbacks for prior version Process inputs should map as an output from another project management process unless the input comes from outside the project Project Document rules On the ITTO input list, if the input is a major project document, it needs to be specifically listed out. 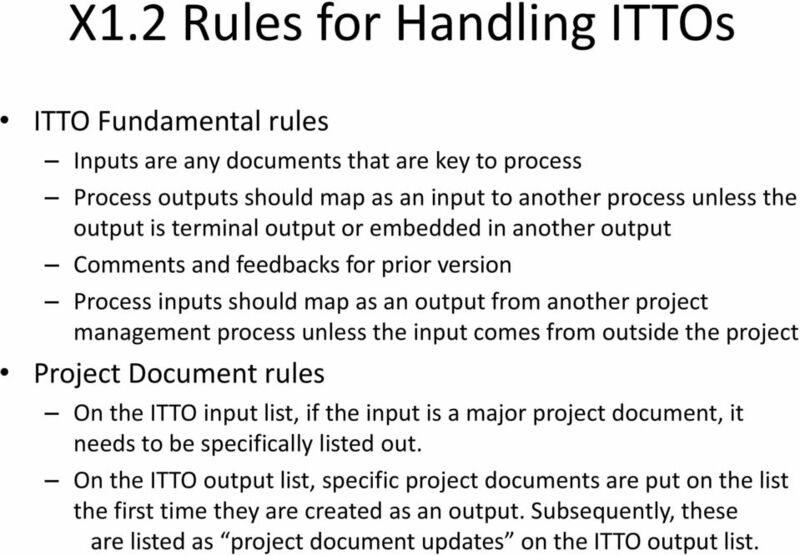 On the ITTO output list, specific project documents are put on the list the first time they are created as an output. 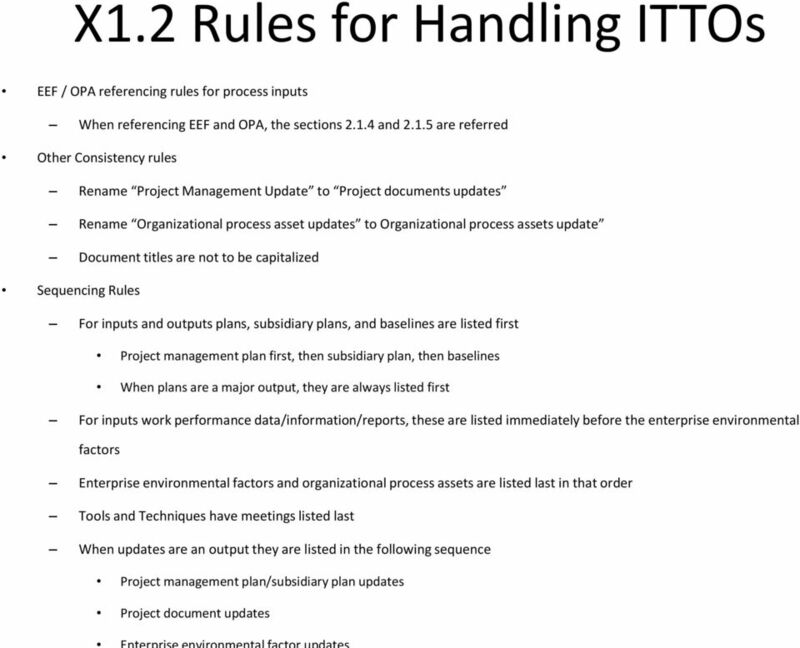 Subsequently, these are listed as project document updates on the ITTO output list. 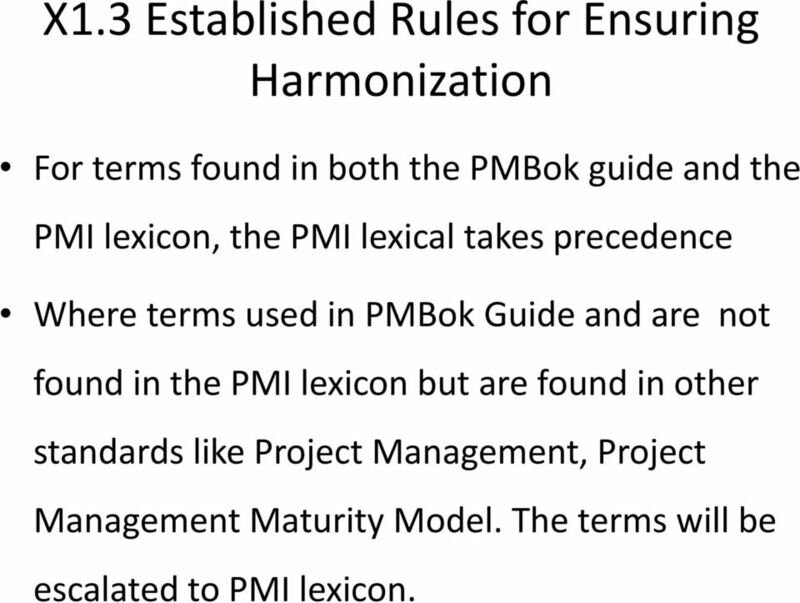 9 X1.3 Established Rules for Ensuring Harmonization For terms found in both the PMBok guide and the PMI lexicon, the PMI lexical takes precedence Where terms used in PMBok Guide and are not found in the PMI lexicon but are found in other standards like Project Management, Project Management Maturity Model. 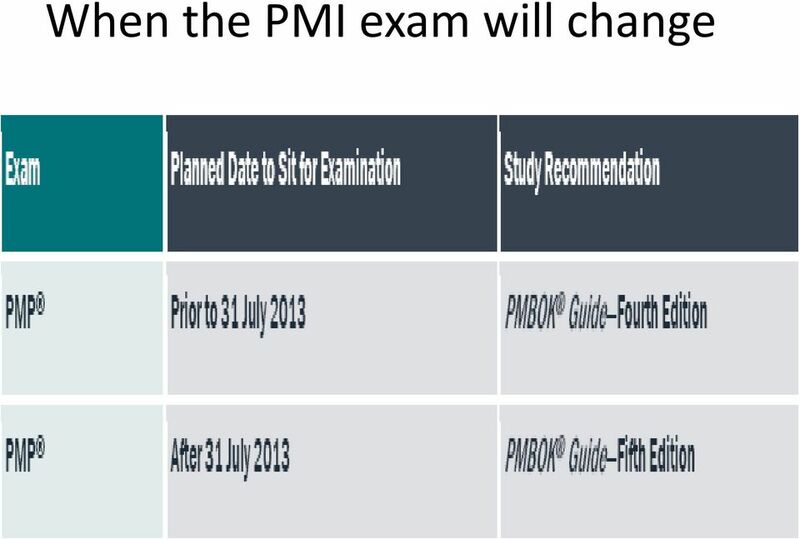 The terms will be escalated to PMI lexicon. 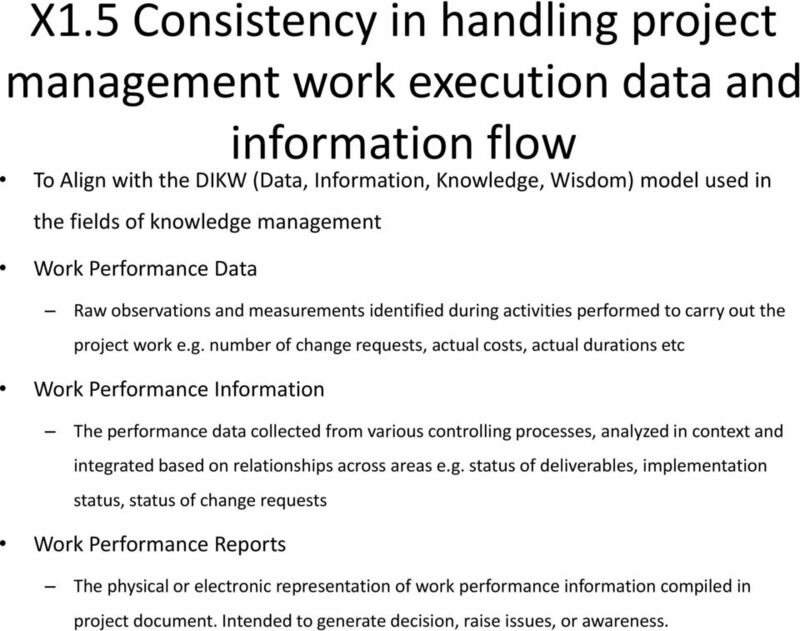 11 X1.5 Consistency in handling project management work execution data and information flow To Align with the DIKW (Data, Information, Knowledge, Wisdom) model used in the fields of knowledge management Work Performance Data Raw observations and measurements identified during activities performed to carry out the project work e.g. 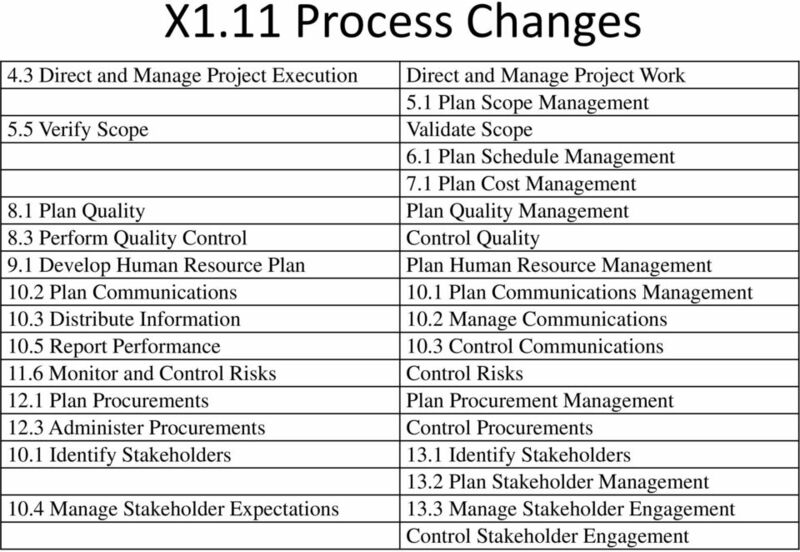 number of change requests, actual costs, actual durations etc Work Performance Information The performance data collected from various controlling processes, analyzed in context and integrated based on relationships across areas e.g. 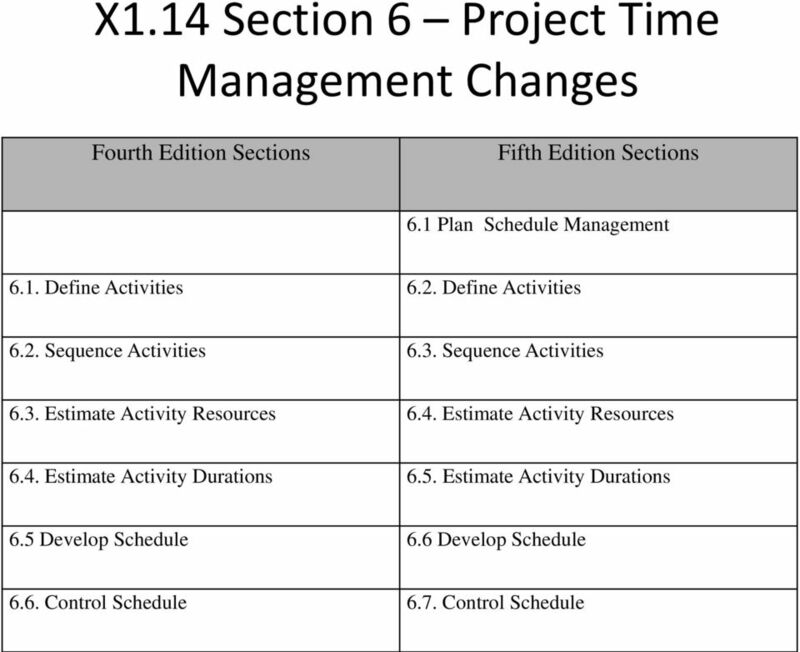 status of deliverables, implementation status, status of change requests Work Performance Reports The physical or electronic representation of work performance information compiled in project document. 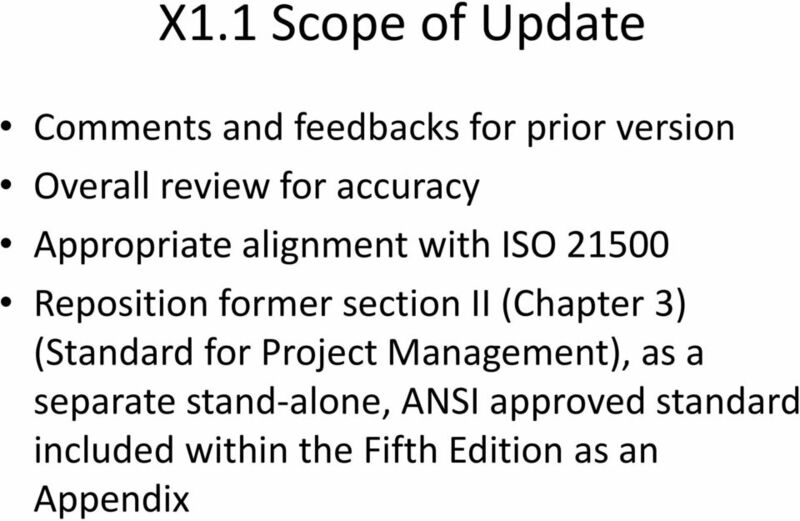 Intended to generate decision, raise issues, or awareness. 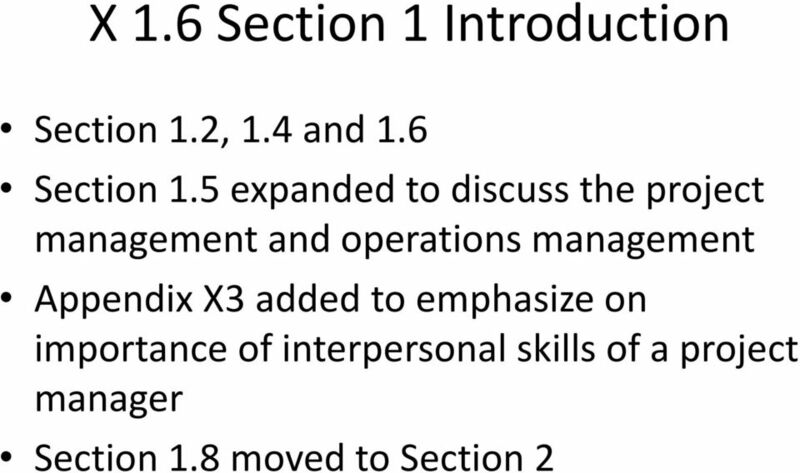 15 X 1.9 New section 3 Section 3 bridges the content between Section 1 and 2 and the knowledge areas sections. 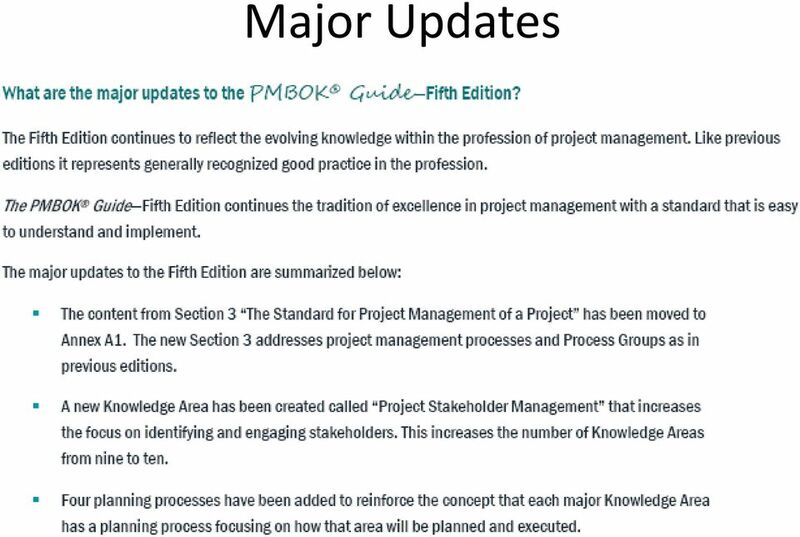 Update on the PMBOK 5 th Edition ISO 21500 Guidance on Project Mgmt. 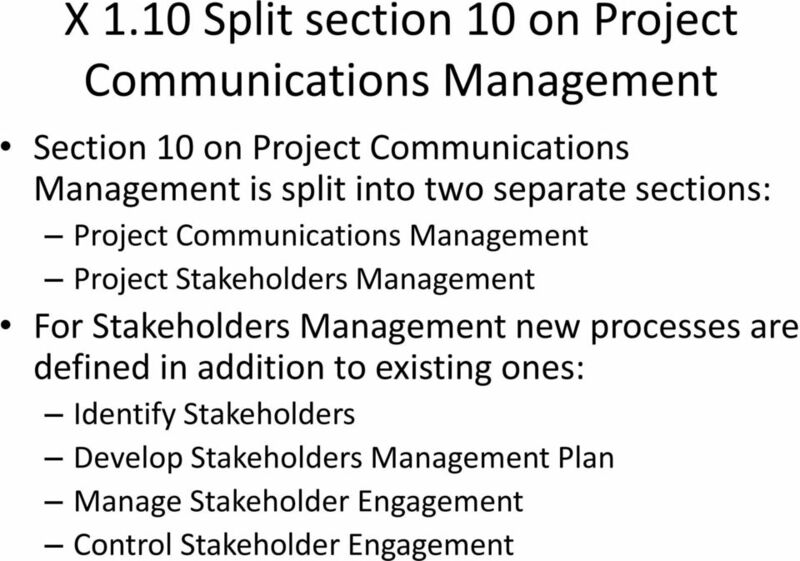 Project Communications Management Study Notes PMI, PMP, CAPM, PMBOK, PM Network and the PMI Registered Education Provider logo are registered marks of the Project Management Institute, Inc. 2012 PMstudy.com. 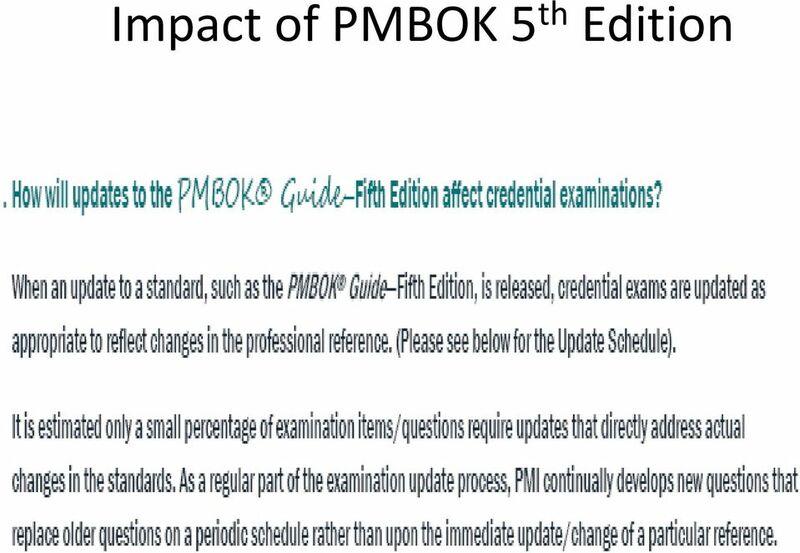 Project Management Professional (PMP) Certification Prep Course (5-Day Bootcamp) Course Overview This 5-day course immerses attendees in the PMBOK based methodology and techniques of project management. 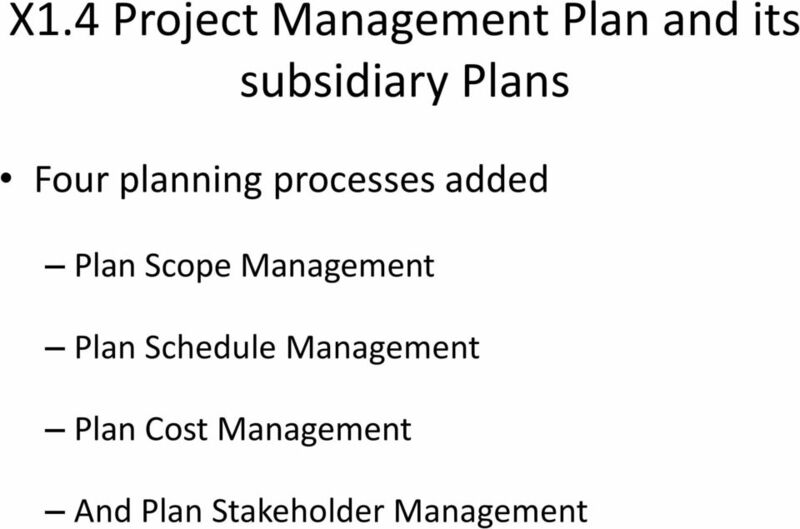 Program Management: Opportunity or CLM? 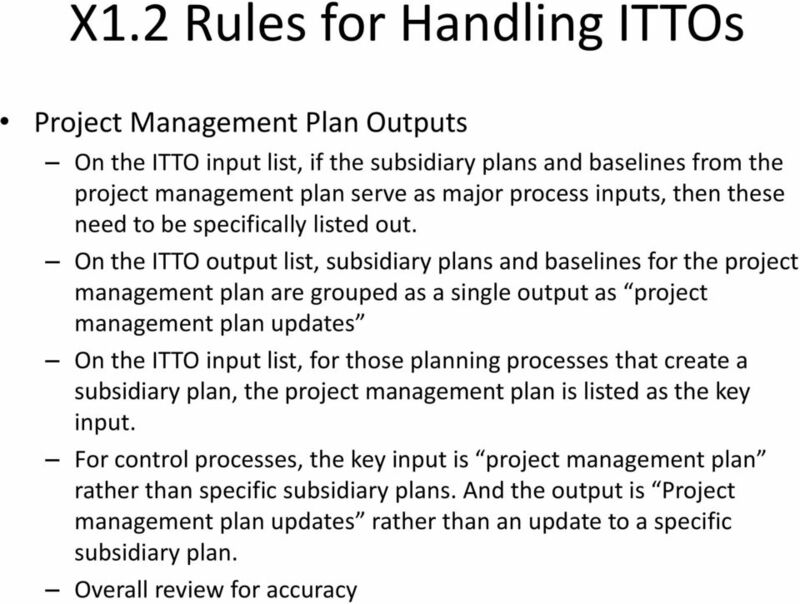 When Recognition Matters WHITEPAPER ISO GUIDANCE ON PROJECT MANAGEMENT. 2 Fmwk&Int. 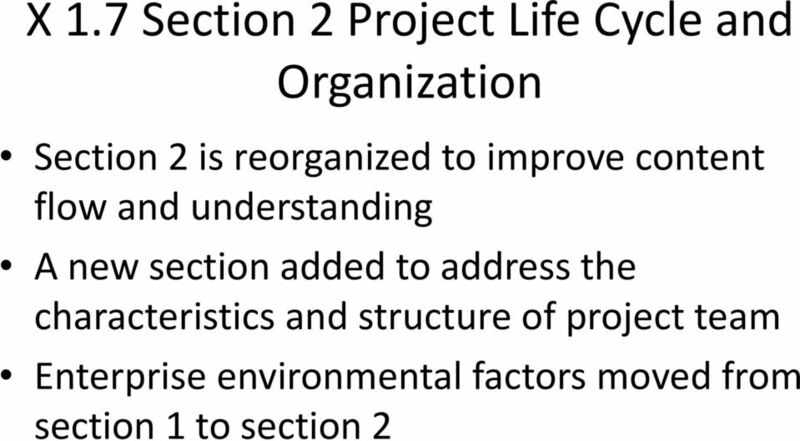 1 C PMBOK 2012, 1.2 - What is a project 2 Fmwk&Int. 2 D PMBOK 2012, 3.7 Closing Process Group 2 Fmwk&Int. 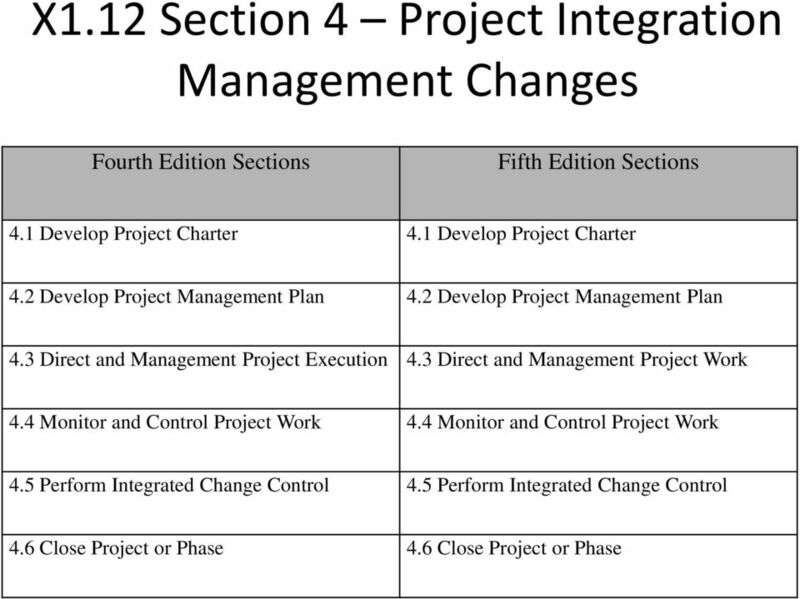 3 D PMBOK 2012, 1.4 - Relationships Among Project/Program/Portfolio Mgmt 2 Fmwk&Int.